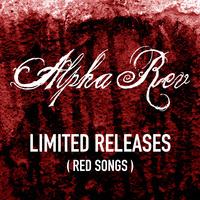 A compilation of rare, limited release tracks that is a must-have for any Alpha Rev fan. Many of the tracks on this two-disc set have never been performed in public, which makes this album a one-of-a-kind collector's item. Alpha Rev makes a splash with several new tracks on this record, and the songs cover the entire spectrum, from toe-tappin' piano, to top-of-the-lungs wailing, to foot-stompin', hand-clappin' funk. The gritty, acoustic guitar on "I'll Wait" and "Wish it Was Sunday" is a welcomed campfire complement to some of the more electronically-influenced tracks. "Arches of Freedom" provides a somber, yet inspiring glimpse into McPherson's own journey through some of life's greatest struggles. Brian Batch contributes eerily beautiful violin work on a new version of "Fade In Tomorrow", and Alpha Rev, as a whole, showcases some of its finest work to date throughout the record. After sitting on several of these tracks for two years, due to a legal dispute between the band and its former label, the world finally has the opportunity to hear at least some of the magic that Alpha Rev has been making all along.